John Van Way, a PhD candidate at the University of Hawaii, sat down with Chengdu Living to talk about Nyarong Minyag, the endangered language he has spent the last year researching and documenting. 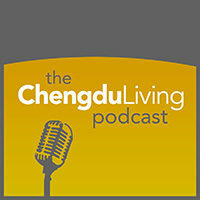 John shares his experience living in Chengdu, his thoughts on the cultural and political significance of a language’s survival, and much more in this 49-minute long podcast. 2:10 What qualifies as an endangered language? 28:30 How much more work is there to be done? 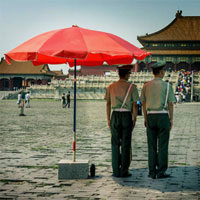 Interested in or currently pursuing linguistic research in Western China? Study languages? Speak a language? Leave us your questions or thoughts in the comments below. Really enjoyed hearing the snippets of the Nyarong Minyag that you added Dan. I could listen to mellow beats with the sound of someone talking in Nyarong Minyag over them all day. Yeah, that is certainly a highlight. Maybe Dan is onto something. It would be cool to hear an endangered languages mixtape with all of the languages spoken over a musical background. Wow, I knew about some of the more prominent dialects (Wu, Yue, Min, etc. ), but I had no idea there were any endangered languages here in China. It was fascinating to learn about the systematic approach that linguists use to map a language from the ground up. I can’t imagine trying to study a language without any resources to help me – that’s really impressive.